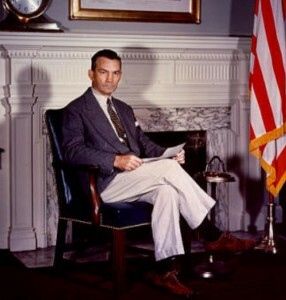 The last Cabinet-level United States Secretary of the Navy and the first United States Secretary of Defense [under Truman]. 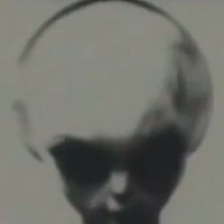 Original member of the Majestic-12 Group (see p 002 of the Eisenhower briefing). Secretary Forrestal fell to his death from the sixteenth-floor window of the hospital in which he was being treated for depression. Whether he jumped or was pushed has been speculated upon.